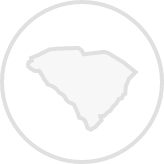 Create a legally binding South Carolina Bill of Sale with our attorney-drafted template! A South Carolina bill of sale is a form that is used to document the exchange in legal ownership of the described item. Some bills of sale must be notarized in South Carolina. What Are Some Common Bills of Sale Used in South Carolina? The most common bills of sale used in South Carolina are a general bill of sale, a bill of sale for a motor vehicle, a bill of sale for a boat, and a bill of sale for a gun. How Do I Write a South Carolina Bill of Sale? When you write a South Carolina bill of sale, you must include certain information. All bills of sale need the same basic information. What makes them different is the way that the item is described. First, you'll learn about the information that goes in all bills of sale. Then, you'll learn about the way that items should be described in each of the most common bills of sale. The date of creation at the top of the page. The legal name and physical address of the buyer and the seller. They should also be identified. For example, John Brown, buyer. The terms of sale which indicate whether the item is being given as a gift, part of a trade, or being sold for money. For traded items, you should include a description of all associated items. For monetary sales, you should list the amount in words and then in numbers. For example, one-thousand two-hundred dollars and zero cents ($1,200.00). If the buyer will pay for the item on a date that is different than when the bill of sale was created, that date should be included in this section. A seller's disclosure that affirms the seller has the right to sell the item. This section also explains any defect the seller knows the item has. Finally, this section explains if the sale is warrantied or if it is considered "as-is." The final piece of a South Carolina bill of sale is a dated signature of both the buyer and the seller. For bills of sale that require a notary, neither party should sign or date it until they are in front of the notary. 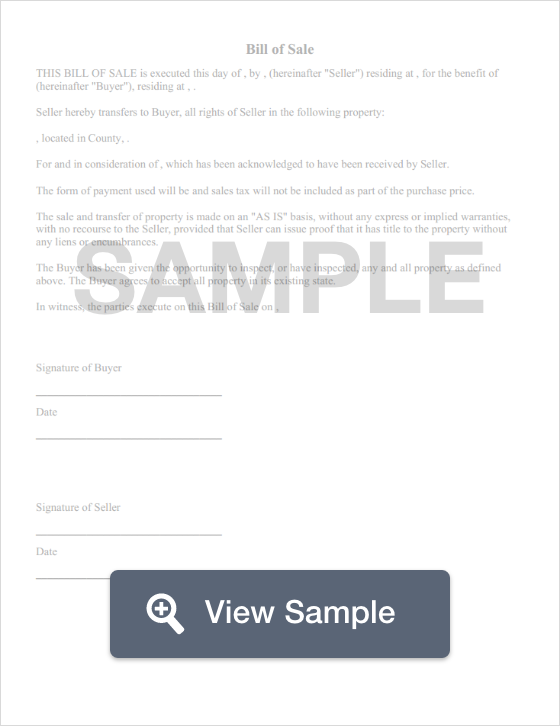 The buyer and seller should keep several copies of the completed bill of sale. For cars and boats, South Carolina will want the original bill of sale. Color, size, material, or other descriptive factors that would help identify the item. Make, model, body type, and year. An odometer reading and whether it is actual mileage, excess mileage, or an odometer discrepancy. Title number for the outboard motor. Serial number for the outboard motor. The model, make, year, and horsepower of the motor. The driver's license number of both the buyer and the seller. Many South Carolina private gun sales involves a trade. When a trade is involved, make sure that you include the same information (make, model, serial number, and caliber) of any and all traded guns. Is a South Carolina Bill of Sale Required to Register a Motor Vehicle? Yes, a South Carolina bill of sale is required to register a motor vehicle. The State provides a bill of sale that you can use. You'll also need to complete an Application for Certificate of Title and Registration for Motor Vehicle or Manufactured Home/Mobile Home (Form 400), proof of insurance, a receipt that shows you paid your property tax on the vehicle, and you must be prepared to pay all registration fees. Is a South Carolina Bill of Sale Required to Register a Boat? Yes, a South Carolina bill of sale is required to register a boat. The State provides a certified bill of sale for your use. It also has a Watercraft / Outboard Motor Application that must be completed. This form also provides you with fee information. Is a South Carolina Bill of Sale Required to Register a Gun? No, a South Carolina bill of sale is not required to register a gun. Guns are not registered in South Carolina. Create a free South Carolina Bill of Sale in minutes with our professional document builder.